Getting along is not always easy. In fact , it can be down right difficult. We spend most of our time with other people. It is great to talk, hang out, play, and be on teams with people. When getting along is not easy, the Lunch Buddies need a toolbox of proactive strategies to help them handle difficult situations. The next few blog posts will focus on creating a toolbox that they can open, reach in and pull out the words, ideas, and/or behaviors to try wherever they are with people. Sharing a seat on the bus with someone does not make them your friend. Just because you are on the same sports team with someone does not mean that they are your friend. Knowing how to choose a friend is a very important skill. 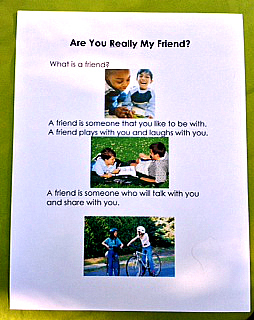 We will be using many visual supports to help the Lunch Buddies understand that there are different types of friends and how to determine if someone is truly your friend. Kids also need to learn that they can and should be deliberate in choosing their friends. 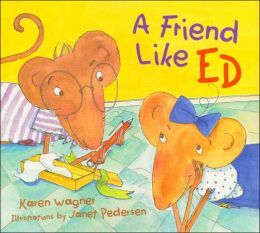 The book and power point are high interest visuals to assist students in determining who is a true blue friend and who is a fair weather friend. 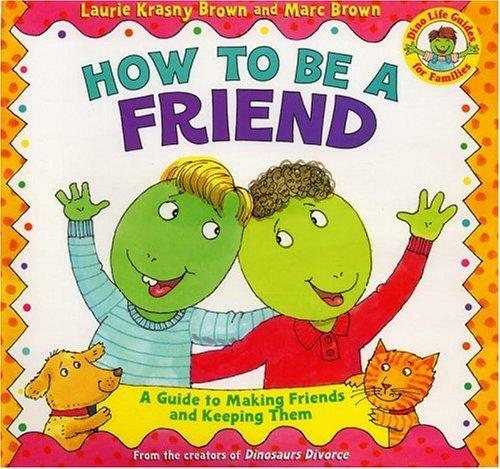 The book How To Be A Friend by Laurie Krasny Brown and Marc Brown is a guidebook for making and keeping friends. 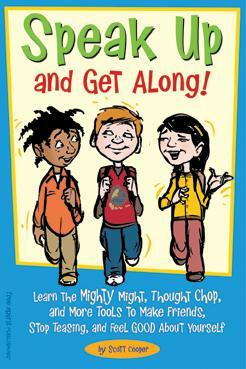 It will show students who can be a friend and how to handle bosses and bullies. 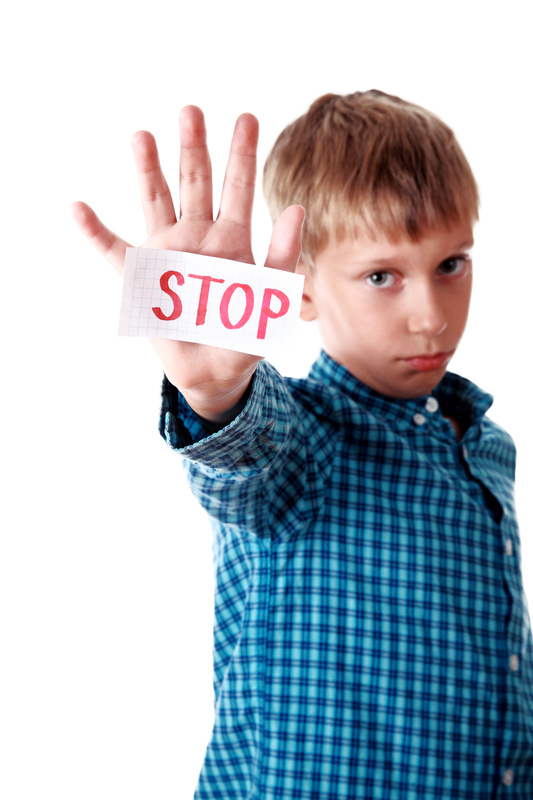 Many kids with ASD, ADHD, and general social deficits do not recognize bullying. They do not always recognize that they are behaving like bullies or that they are being bullied. Check back for the next strategy to add to the toolbox. Defining bullying and what it looks like and how it can be different from teasing will be the topic of the next post. that I am using as the foundation for teaching the Lunch Buddies how to speak up and get along. Hope y’all are enjoying the summer! Custom Boards App is on sale today! I just wanted to alert everyone to this fantastic sale~ Custom Boards normally sells for $49.99 but today only it is on sale for $9.99. I use Custom Boards on a daily basis to create social stories, scripts and schedules. Check out the details at http://smartyearsapps.com. Happy Summer to all! It is taking a bit longer than usual for me to stop thinking about and planning for social skills groups for next school year. Hey,who am I kidding! I really never stop thinking about it. I have, however, made a plan for myself to be a bit more flexible. My plan is to unplug completely at least a couple of days a week. Many of the Lunch Buddies struggle to develop a resilient mindset. 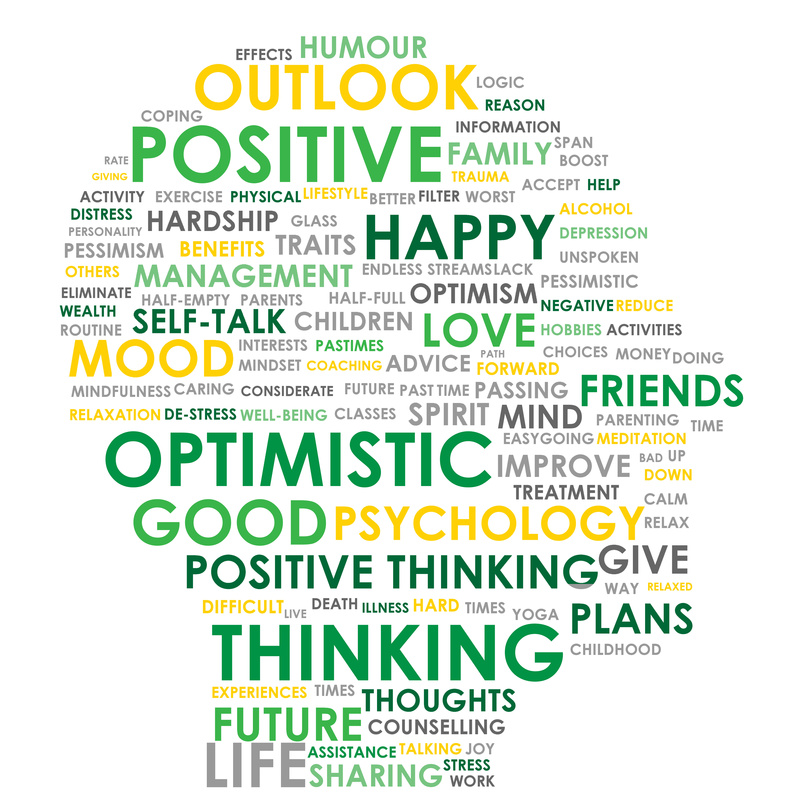 Starting the new school year, we will focus on changing negative self-concepts or scripts to develop a resilient view. When we have a resilient view we can bounce back, cope or recover when things don’t go as expected or we don’t get our way. A resilient view is flexible and allows one to see a mistake as an opportunity. They are written for younger children but I think that these books will be loved by all of the elementary Lunch Buddies. 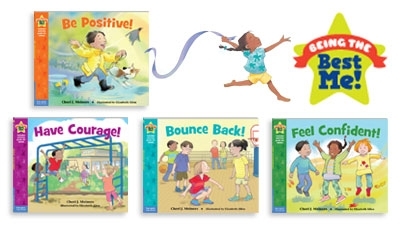 The subjects of confidence, courage, resilience and positivity will spark discussion and conversation as we work to build flexibility and a realistic perspective.